Between 1917 and 1932 Ottorino Respighi (1879-1932) composed three suites for orchestra titled Antiche Danze ed Arie per Liuto (Ancient Airs and Dances). Respighi was one of several composers in the early 20th century who wrote pieces inspired by music from the Renaissance or Baroque. These works were prompted by the surge of interest and musicological research during the late 19th-century resulting in the publication of new editions of works by earlier composers. He arranged his beautiful Ancient Airs and Dances suites from transcriptions of Renaissance lute music, and they are among the most recognized examples of his interest in early music. For February’s meeting, we will focus on three movements, one from each suite, based on popular tunes of that time that can also be found in other instrumental ensemble versions from the Renaissance. We will play my arrangements for Recorder Orchestra of these movement as well as some of those other instrumental versions, time permitting. It seems fitting to play arrangements of Respighi's Ancient Airs and Dances Suites on recorder orchestra, in that the music that inspired them was originally composed in the 16th and 17th centuries – during the height of the recorder’s popularity – and that some of those tunes are found in instrumental ensemble music from that time, as well as keyboard and lute versions. While the recorder orchestra lacks the variety of instrumental color and dynamics Respighi so expertly employed in his transcriptions/arrangements, the arrangements allow recorders to convey some of the lyricism, character and spirit that Respighi crafted into his suites. From Suite 1, we will play the second movement Gagliarda. 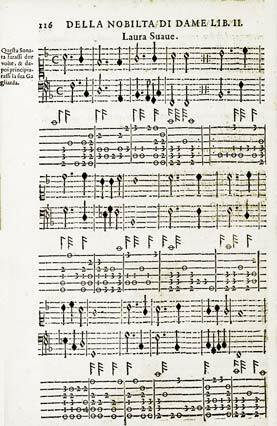 The "A" section is a galliard titled Polymnia composed by Vincenzo Galilei (1520? - 1591, father of the astronomer). The middle "B" section is an anonymous Italiana in triple meter, which is a setting for lute of a dance tune popular at that time throughout Europe, often titled currant or volte or La Volta. Versions can be found for keyboard by the Englishman William Byrd, and for instrumental ensemble in Michael Praetorius's collection of dance music, Terpsichore from 1612. Maple Leaf Lutheran Church, 10005 32nd N.E., Seattle. Visiting recorder and other early musicians (both new players and experienced) are welcomed. A $5.00 donation is suggested. .
Music by Respighi, Praetorius, Zanetti, et. al. SnSATB Gb, Cb recorders. Viols welcome. The opening movement of Suite 2 is based on the beautiful Laura Soave (1581), a multi-part dance (ballo) from Fabrizio Caroso’s dance manual from 1600, Nobilta di Dame, Respighi arranged all four sections of the original dance music, the Balletto, gagliarda, saltarello and canario, that was originally given in the dance treatise as a melody and bass line with lute tablature accompaniment (see illustration at right). The tune used for Laura Soave is the popular Aria del Gran Duca theme. Contemporary instrumental version of the theme by Peter Phillips and Gasparo Zanetti. The piece from Suite 3 we will look at is the third movement, which Respighi arranged it as a slow, pastoral-like Siciliana. He did not recognize that the tune actually belongs to the much livelier and more raucous Spagnoletta dance, which appears in several sources by difference composers, including one by Hettorre della Marra, and again, Praetorius's Terpsichore dance music collection. Since my arrangements of the Respighi pieces are for recorder orchestra, we will need a full range of instruments from sopranino down to contrabass recorders. Viols are also welcome. The music may be challenging for some. You can download parts in advance to look at from http://www.seattle-recorder.org/Meeting-Music.html. This should be a fun evening, and a great warm-up for Cléa Galhano’s Saturday workshop being held the following morning. Speaking of Charles, the February program will be led by Mr. Coldwell, so keep reading to hear what he has in store for you! Join us for a lively concert of recorder music. This annual chapter event will take place at the Third Place Commons in Lake Forest Park, just north of Seattle. Come and hear a community concert featuring a variety of international music and various genres. Music performed by local recorder ensembles including mixed consorts, members of the Seattle Recorder Society and more! 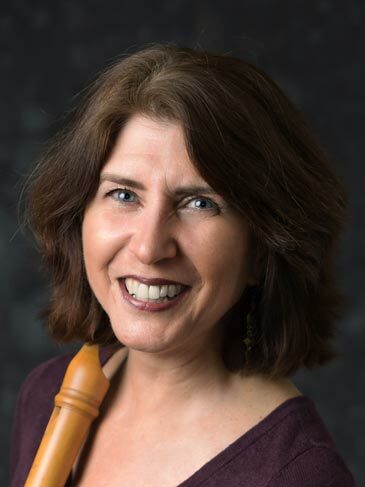 Join other recorder players at the beginning of the concert to play the composition commissioned by the American Recorder Society for Play the Recorder Day, enti-tled “Fantasia on Faithless Nancy Dawson” by Phil Neuman. All events are free. Come for all or part of the program. New this year: for the “Warm Up and Playing Session”, we will rehearse the PTRD 2019 composition and play other pieces. Thanks to all who have volunteered to play at this event. We have a full program, but if you are interested in performing next year, please do let me know!